Roger Domer represents the membership for District #7, which is the Director-at-Large. He has served on the board since 2003. He has earned the Credentialed Cooperative Director Certificate through NRECA. Domer is employed by TransCanada and is an operation technician for the ANR Pipeline Company. He owns RD’s Seawalls & Sidewalks, Inc., and is involved in several organizations, including LaGrange County Sheriff Department’s Merit Board, 4-H Shooting Sports, Ducks Unlimited and Pheasants Forever. He and his wife, Tonya, have three children and one grandson. Terry Holsinger represents members in District #2. He has served the board since 1999. He holds a Credentialed Cooperative Directors Certificate through NRECA. Holsinger is retired from Abbot Labs. He and his wife, Jody, have four children and three grandchildren. Jeff Brill, secretary of the board, serves District #6. He has served on the board since 2004. He has earned his Credentialed Cooperative Director Certificate through NRECA and attended Board Leadership classes through Indiana Electric Cooperatives. Brill is retired from the LaGrange County Highway Department. He and his wife, Donita, enjoy visiting their son who lives in Louisville when they get the chance. Larry Fetters serves District #1. He has served the board since 1999. He has earned his Credentialed Cooperative Directors Certificate through NRECA. He has also received his Board Leadership Certificate. Larry is retired from the finance business, but helps his daughter operate two gift shops in Shipshewana. He and his wife, Marge, enjoy spending time with their four granddaughters in their spare time. Tony Bontrager represents members in District #3 after the retirement of Jeff Hampshire. 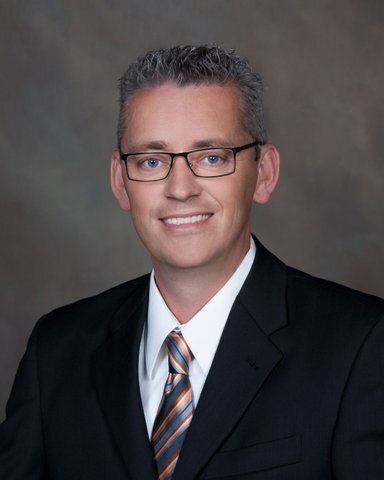 In addition to his new position on the REMC’s board of directors, he also serves the community as secretary of the LaGrange County Community Foundation Board and as a member of the leadership team at New Life Fellowship in Topeka. He resides in LaGrange with his wife and three children, and works as an employee benefits consultant with RE Sutton & Associates, based in Carmel. Cliff represents members from District #4 (Clay West and Newbury townships). He has served on the board since January 2018. Hibbs is an officer with the LaGrange County Sheriff's Department. Hibbs, his wife, Sandy, and their family reside near Shipshewana. They are members of New Life Fellowship Church. Hibbs enjoys camping, working on classic vehicles and spending time with family. C. Shane Rasler serves District #5. He attended Purdue University and is the owner of Rasler Insurance Services in LaGrange. Rasler holds his Credentialed Cooperative Directors Certificate from NRECA. He is LaGrange County REMC’s representative on Wabash Valley Power Association's board of directors. He is a member of the Woodruff Grove United Methodist Church and the South Milford Lions Club. He enjoys traveling with his family, drag racing and watching his daughters participate in 4-H and sporting events. Rasler, his wife Stacie, and their two daughters reside in Wolcottville.